It’s easy to define Caribbean hoteliers by category. For the most part, the region’s hotels and resorts are operated by U.S.-, European- and Caribbean-based hospitality companies, both large and small. Rarely does an operator venture into the Caribbean hotel market from outside of one of these dominant groups. 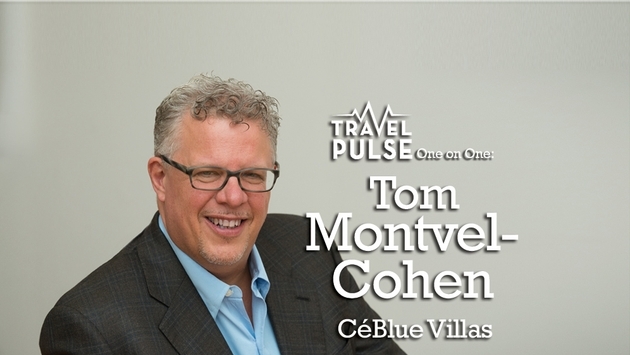 But that’s exactly what’s happened for Tom Montvel-Cohen, owner of CéBlue Villas in Anguilla. Montvel-Cohen has virtually no background in hospitality. Instead, he is part of an increasingly familiar group of New York City residential real estate developers. Montvale runs a tight-knit, family-based company that develops high-design properties in the historic districts of Brooklyn, the New York borough filled with magnificent 19th and 20th century homes designed by legendary residential architects from Amzi Hill to Montrose Morris. Dozens of these blocks are today officially designated as historic landmarks. Montvel-Cohen is among a cadre of local developers that have capitalized on Brooklyn’s popularity with New Yorkers seeking historic homes with proximity to Manhattan. A casual conversation with an acquaintance, and later a willingness to take risks, led Montvel-Cohen from Brooklyn developer to operator of a luxury villa in Anguilla in the space of a few years. We asked him recently about his journey into Caribbean hospitality. TravelPulse: What is the name of your New York-based development company, and how did it begin as a firm? 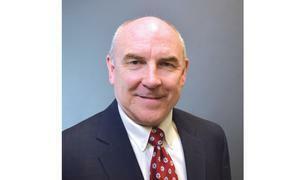 Ton Montvel-Cohen: Cara Holdings, LLC has been in business in Brooklyn for over 50 years. The company started buying up old brownstones and factory buildings in Brooklyn's historic downtown area and brownstone residential neighborhoods, restoring them and then either renting the apartments or selling them as condominiums. TP: You mentioned that you have developed properties in the Brooklyn residential real estate market. Can you describe these? TM: When I joined the company in the mid-1990’s, we began to accelerate the re-adaptive use of buildings, taking vacant or under-used lot buildings and creating mixed-use properties. These conversions typically have retail and commercial space on the lower floors and residential above. Two of our most notable projects were conversions of landmarked buildings at 31 Washington Street and 81 Pearl Street in the DUMBO (down under the Manhattan Bridge overpass) section on the waterfront. Also in DUMBO we have completed 100 Jay Street, known as J Condo, a 268-unit condo tower with unbelievable views. We are also in the process of a condo conversion of an historic building in Cobble Hill, and recently completed a beautiful rental loft conversion in a historic building in Clinton Hill. At Cara Holdings we are Brooklyn born and bred. We are active members of The DUMBO Improvement District, a partnership of DUMBO’s property owners, merchants, businesses and cultural organizations. TP: How did you become involved in villa development in Anguilla? TM: In 2009, we were approached by an Anguillan living in one of our buildings in Brooklyn who had inherited property on the island. He encouraged us to see this undeveloped land on a hillside overlooking Crocus Bay. When we scrambled through the bushes and looked out over the hill to view the sun setting on that incredibly magnificent view, I was sold right on the spot! "...our vision, from the very beginning, was to bring to Anguilla a villa-resort concept blending the intimacy of a private villa with all the services and amenities of a first-class resort." TP: Were you concerned you were venturing into uncharted waters for your firm? TM: As a real estate developer in New York, I’ve had lots of experience in putting together complicated construction projects but this would be our first foray into a resort property outside the U.S. Luckily we have assembled a great team and our vision, from the very beginning, was to bring to Anguilla a villa-resort concept blending the intimacy of a private villa with all the services and amenities of a first-class resort. As far as the construction is concerned, all the praise has to go to my partners Charlie Cara, Vinny Panzarino and Dom Vitucci, who built the project as if they were going to live there. It's beautiful. TP: What sort of support did you receive from Anguilla’s government and what difficulties did you encounter as you were building the CeBlue Villas? TM: The government of Anguilla has been behind us 100 percent. We have worked closely with them throughout every step of the construction process and I believe we have earned their trust. Any difficulties in the process were purely logistical. As you can imagine, it’s all about timing and materials, since just about everything has to be shipped into the country. I’m happy to say that we have their enthusiastic approval to expand the facilities in the future. But, right now, we are concentrating on providing the best possible luxury vacation experience for a maximum of 100 ultra-pampered guests. TP: What do you feel are the Villas’ signature feature? TM: That’s easy. It’s our concept of a "hybrid-luxury experience" which makes us stand apart. CéBlue Villas & Beach Resort combines the intimate signature service of a private villa vacation with the variety of activities, dining and entertainment options offered by the full-service resorts. CéBlue has found a niche to accommodate the most sophisticated traveler in comfort and sophistication without the isolating factor of a stand-alone villa. In terms of security, CéBlue offers concierge service from 7 a.m. to 10 p.m. seven days a week. A security team is on duty throughout the night. It’s that "peace-of-mind" that one doesn’t experience in a standalone villa. We definitely believe that we are providing the best of both worlds at CéBlue. TP: What will travelers enjoy most about Anguilla? TM: My first thought is "What’s not to enjoy on Anguilla?" There’s great food, an easy, laid-back atmosphere and some of the world’s friendliest people. But, hands-down for me is the spectacular intersection of the sun, sea and sky – especially viewed from the decks of CéBlue’s eight Caribbean/modern villas which overlook Crocus Bay, one of the Anguilla’s 33 world-renowned beaches.